The scientists were able to add a chemical dependency into the genes of an organism functioning like a lock and key so it can survive only with the addition of a laboratory-generated compound. By modifying E. coli bacteria for dependence on the compound benzothiazole, the research, published June 15 in the journal ACS Synthetic Biology, ensures that the organism would die in the event of escape. Because E. coli. can thrive inside of a human, this modification adds a layer of biosafety. The final E. coli organism is called a synthetic auxotroph — a life form engineered so that it cannot grow unless supplemented with a particular molecule. 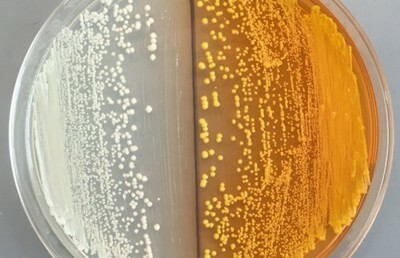 Lopez, along with his supervisor, campus associate professor J. Christopher Anderson, engineered switches into genes that affect the organism’s growth and essentially starve it, which is the “lock.” To function, the organism needs a chemical “key” to turn on the switches, allowing the bacteria to survive. Without this key, the modified organism is immobilized on the genetic level. Lopez said speed and low cost set his method apart. The auxotrophs can be created in five days and at a cost of about $100. This allows for the lock and key to be easily adopted by other researchers and possibly by industry, Lopez said, and he is confident that the method can be extended to other organisms. The idea comes from work done in the 1940s, when early biochemists mutated organisms until they were rendered unable to grow without certain compounds. Lopez leapfrogged off these old techniques, using modern technology to control the process on an unprecedented level. “I felt like I had found a long-forgotten treasure,” he said. Researchers at Harvard Medical School and Yale University recently published similar research but with the safety mechanism self-contained within the organism instead of the simpler lock-and-key approach. Daniel Mandell, the lead author of the Harvard study and a research associate at the Wyss Institute and Harvard Medical School, said Lopez’s findings could, in principle, make any organism dependent on a chemical key at a relatively inexpensive cost. “The challenge moving forward will be to reduce escape rates and to ensure prevention of chemical complementation from other organisms and the surrounding environment,” Mandell said in an email. By “chemical complementation,” he means ensuring that the compounds used for the “key” cannot be accidentally found around the “lock,” rendering the whole mechanism useless. Alexis Rovner, who authored a related paper at Yale and is now a postdoctoral researcher at Harvard, said that as synthetic biology continues to generate new organisms, Lopez’s paper addresses the need for applicable methods of biocontainment. Contact Austin Weinstein at [email protected] and follow him on Twitter @aweinstein5.